Yesterday, Grey Matter Art announced a second batch of New York Comic Con 2018 exclusive prints, including this epic, officially licensed The Avengers movie poster by Matt Ferguson! This is the iconic silhouetted image that put Ferguson on many people’s radars, and launched his career as one of the signature artists of the Marvel Cinematic Universe. So how do you not want to get your hands on this fantastic print? 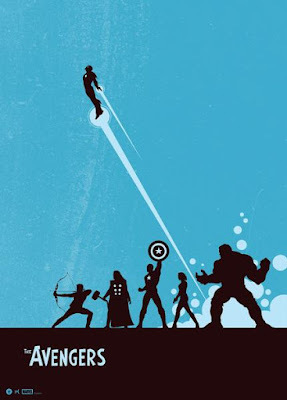 The Avengers by Matt Ferguson is a 50cm x 70cm hand numbered screen print. Limited to 275 pieces, this Marvel poster can be purchased at the Grey Matter Art NYCC booth #3064 for $50.